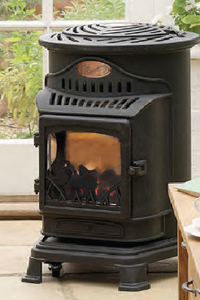 With its warming coal effect, the Calor Gas Provence is the perfect way to heat your kitchen, living room or conservatory. 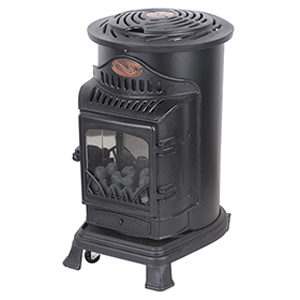 The Provence is not only a superb heater, it also provides a perfect focal point for any room. It has been specifically designed to blend in with the ambience of character cottages and traditional homes, and will bring a touch of ‘country chic’ wherever it is placed. Even when it is not on, it is guaranteed to draw envious looks from guests and visitors! 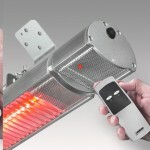 The Provence Living Flame provides instant hassle free heat. It requires no outlet flue or plug socket – and it also has the added benefit of wheels, making mobility as easy as possible. No room has to feel cold! The Provence has a maximum heat input of 3kW, and will run for up to an impressive 60 hours dependent on the heat setting. Gas consumption: 215 gr. per hour at maximum power. Requires no installation or chimney. Requires no electricity or gas network for operation. 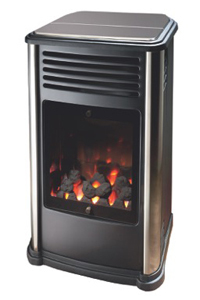 The Calor Manhattan Gas Heater is a 3Kw flueless Gas heater. The Manhattan gas fire burns with real flames in cased in a stylish contemporary design. Key features of the Manhattan gas heater are wheels for easy transportation, runs from either a 6Kg or 13Kg gas cylinder and an O.D.S Safety System which will cut of the gas supply off if the oxygen-gas mixture is wrong to prevent carbon monoxide build up.